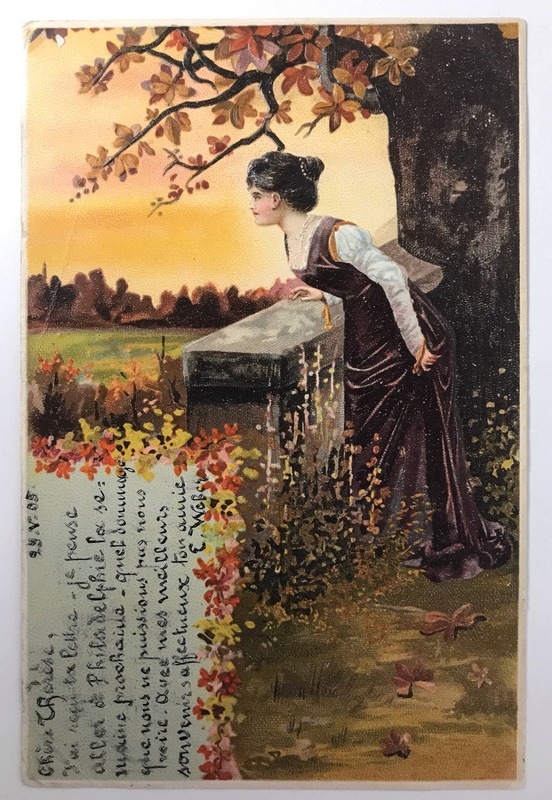 A very beautiful postcard from 1905 (postmarked) with a lovely lady leaning over a wall in an autumn landscape. The card is richly colored and embossed. 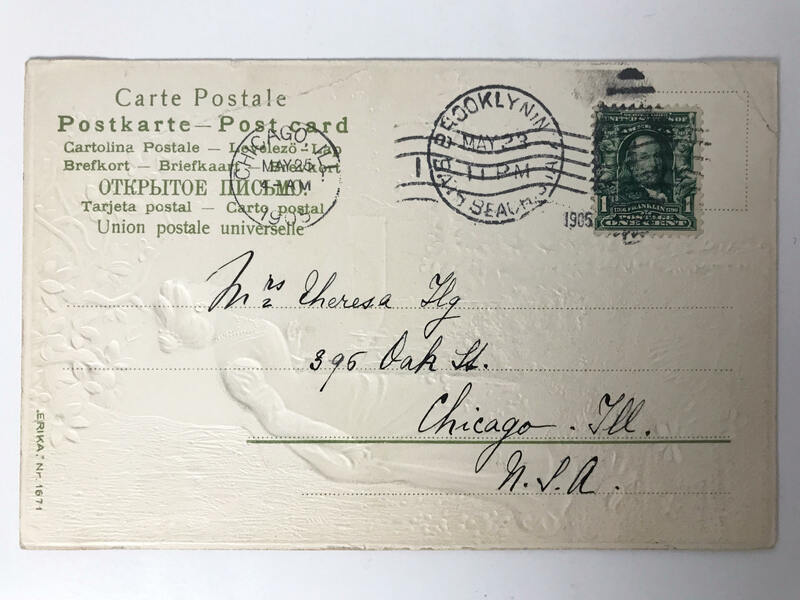 There is a written message on the front, in the little space allowed, in French, dated May 23, 1905. It was sent to Chicago. There is no publisher's name on the card, just "Erika, Nr. 1671" printed. Because of the age of the card, and its clearly European origin I believe it to be printed in Germany. Undivided back. CONDITION: Good though there is some bumping on the corners, and a crease. This is a gorgeous image and the perfect gift for my daughter who loves the autumn season.